The study performed by New Mexico Tech, which took me to the San Augustin Plains and led to me to the adventure which my book ‘Washed In The Blood Of The Plains” is based on was a result of the issues I address in this article. 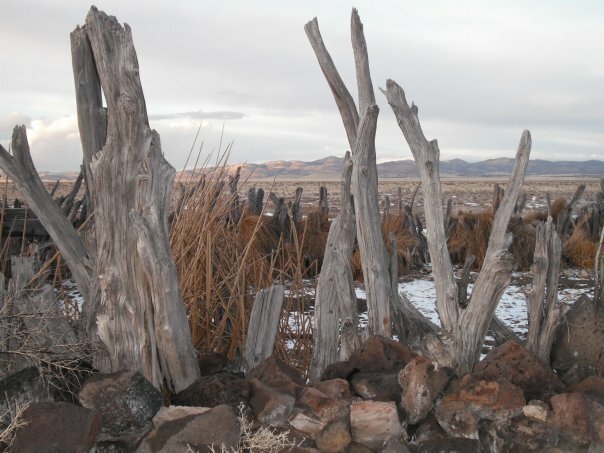 This article is written in support and appreciation for all of the members of the San Augustin Water Coalition and for all of the presenters who took the time and effort to attend the May 21, 2011 Annual Meeting in Datil, New Mexico. The water resources, the very livelihood of the San Augustin Plains and Catron County are being threatened. In fact, if one looks at the broad reaching consequences, all of rural New Mexico is threatened by a clear and present danger; the potential to lose any and all of the water that is not being put into a ‘beneficial’ use. Certainly there are regulations in place to limit and control this threat but just as powerful is legislation that will in fact support it in the future as the needs of mankind evolve and change. This is not a new concept. Over the last few years more than one bill has been introduced in an effort to lay claim to waters that reside in rural areas that are not being currently utilized and move their point of use to the urban areas that have created shortages through rampant and unplanned growth. In other words this has been an attempt to fill a void created by greed and speculation of the few that stood to profit from it with no consideration of future needs of the outlying communities. Neither is it unique to New Mexico for if one does a little research it reaches nationwide. The lack of foresight and the failure to anticipate the urban sprawl that would occur over the last fifty years as a result of greater mobility and longevity of our populace has begun to take its toll. The lack of planning and protective ordinance has left our flanks open for attack and the onslaught has begun. Catron County, amongst others in New Mexico, is under direct attack by individuals who; having seen the opportunity and being obviously shrewd business people, have grasped the potential to capitalize on it. I cannot bemoan that effort; it is typical of our society to do such things, even at the behest of one’s fellow man. More than likely in this man’s eyes what he stands to profit from will also benefit a huge swath of our nearby population as opposed to a scattered few who are currently not making full use of the resource. That it may not only compromise the future livelihood of those in Catron County but also prove to not be of long range sustainability for those he is offering it to is likely of no concern to him; the immediate profit is all that he is interested in. As was pointed out in the meeting of the San Agustin Water Coalition which I attended it may well be that he is gambling on the future odds alone. If he can establish the ‘water right’ the paper right itself will be worth a fortune and he may well leave the development of the project to some future speculator; buyer beware! There is nothing ethical about this deal but there are many who will gamble on its value; our current society has been built on the same. Water is life, we cannot live without it. Historically battles have been fought over the right to use whatever water was available; be it a small pool in a hollowed rock or a lake or a river; men and women have died for it. Here in the arid plains of Catron County one sees as clearly as anywhere else the effort that has been applied to gather and hold this life giving resource in order to support people’s homes and their cattle. The dirt tanks; built from logs hauled from the mountains and bermed by hand with the soil of the plains to hold the meager flow from a windmill, supported by hand hewn logs, speaks clearly to that. The crumbling remains of the old homestead cabins illustrate the effort and the hardship that was required to sustain it. Why then was there not a man who could see the future clearly enough to find a way to protect that; here or anywhere else? Most likely they were too busy with the effort to survive to ponder that; who would have thought that a thousand gallons of water would ever be worth even a dollar let alone eight or ten; that we would pay a dollar for a gallon of it, gladly? Or that a shotgun would no longer be powerful enough to resolve the argument? True to their heritage the populace of Catron County have responded to this threat in genuine western fashion; they have banded together as they have done throughout their history to protect each other and all they depend on for their survival. They have established the San Augustin Plains Water Coalition for the purpose of defending their water resources and protecting the future of the generations who will be born into their long standing traditions. The resilience and the loyalty of these folks stood clear last night in a meeting that was well attended and beautifully presented; the support that they are receiving from all angles is admirable. For this to occur in such a rural setting makes it enviable; I have seen far less devotion in more progressive settings. Folks in New Mexico want as little governmental regulation as possible; myself included. We are, for the most part, well able to rule our own lives but we are not powerful enough, individually, to control the actions of anyone else; neither do we wish to in most circumstances. At the same time we must not only recognize the need to create a mechanism to protect the future of our resources, land, air and water, before it is too late, we must also embrace whatever means necessary to meet that goal. We must also be an active part of the effort to succeed; no one will do it for us. Regulation; ordinance and government were all created for this purpose; it is its highest and best use of it and if we wish to preserve this precious way of life and all that supports it we had better get with it; it is almost too late already! Thank you Cathie for so eloquently bringing this issue to our attention. I am glad Catron County has you for an advocate! And I am indebted to them for their allowing me into their lives and their ranches that we might work together to protect their legacy! The book would have never happened if they hadn’t grouped together to meet the challenge!